Janet L. McMillan (nee Tschan), loving wife of the late Richard W. McMillan. Cherished mother of Karen (Terry) Flinchum, Kathy (Don) Becker, Brenda Kenny, William K. (Pat) McMillan, Patty (Ralph) Schwarz and Carol Obert Metz (Jerry). Dear Grandmother of 17 Grandchildren and 24 Great Grandchildren. Sister of Elizabeth Bryan-Rich and dear friend to many at The Wellington. 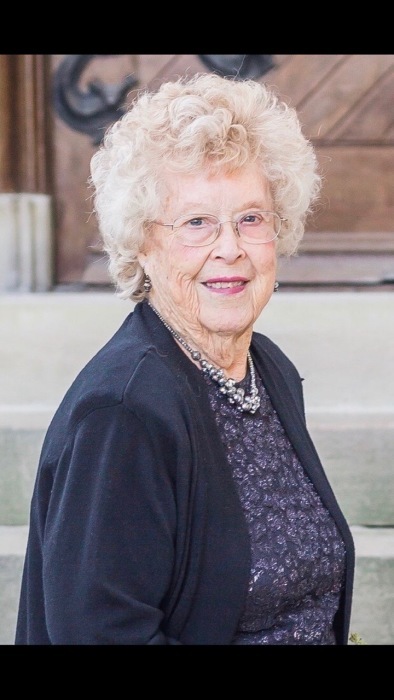 She passed on Monday January 21, 2019 at the age of 86. Visitation Thursday Evening Jan. 24th from 4 to 7pm at the Dalbert, Woodruff, & Isenogle Funeral Home 2880 Boudinot Ave, 45238, followed by a Funeral Service at 11am on Friday, also at the Funeral Home. If desired, memorial donations can be made to Hospice of Cincinnati. Express your condolences, or make a memorial contribution by clicking the tabs below.